Note that we do not store or save your password. We receive an access token from Google Drive which we use to gain access to your account so that your personal information is always secure and not compromised. Google Drive now appears green with a check next to it to designate it is now a connected file source for hopTo. You are all set! You can now see the Google Drive icon under the 'My Cloud' section and your Google Drive documents are available in the 'My Documents' area. 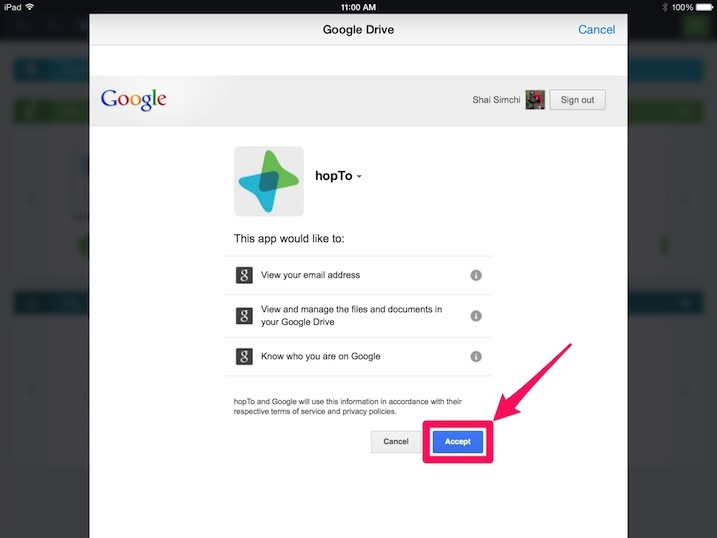 Tap the Google Drive folder and you are now inside your Google Drive folder with access to all the hopTo supported documents. 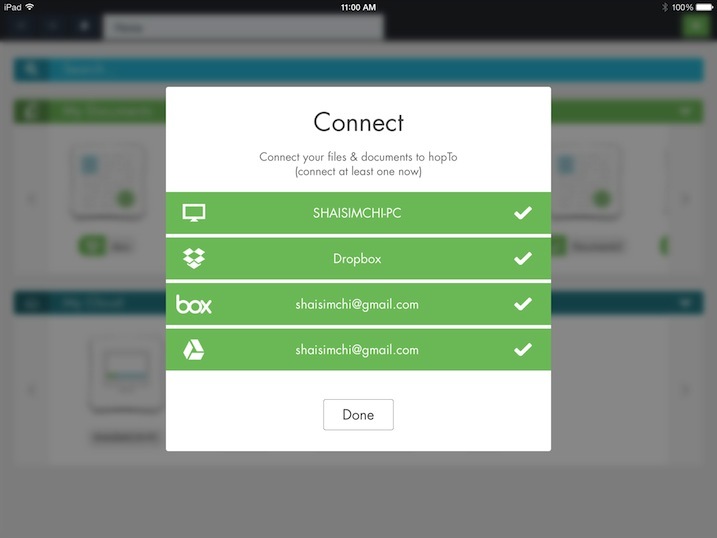 In order to disconnect from a file source you will have to reset the app settings. same question as Ace above... how the hell do I change by google drive account info on hopTo, now that I realize that I had stored a bunch of documents under another account in google drive?? How do I change my google drive account in hopto . Please see my previous comment on this topic. You can edit documents on Google Drive but not of all formats. Let me know if my previous comment does not answer your question. Does HopTo automatically sync changes back to my Google Drive? 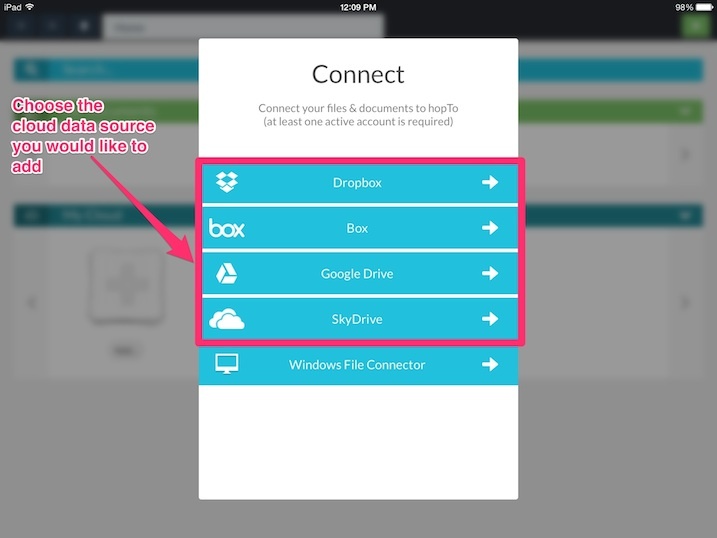 You can edit documents on your Google Drive if they are stored there in Office format (Excel or Word). Native Google documents and spreadsheet can be viewed in read-only mode. A way to work around that is to export them to the Office format and save in your Google Drive which will give you full editing capabilities. Are you able edit Google documents?